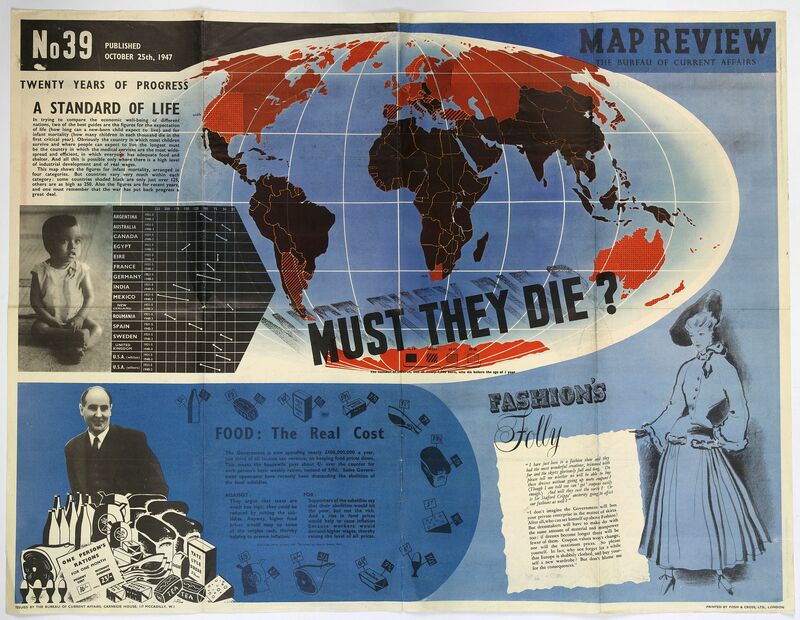 Old map by THE BUREAU OF CURRENT AFFAIRS. - Map Review No.39. - Twenty Years of Progress, 'A Standard of Life'. Publisher: THE BUREAU OF CURRENT AFFAIRS. Title: Map Review No.39. - Twenty Years of Progress, 'A Standard of Life'. Size: 28.9 x 38.8 inches. Condition: Multi-folded, in good condition considering size etc. Some small tears to folds - margins complete. A large fully coloured double-sided poster of the world coloured to highlight the number of children who die each year before the age of one. This is accompanied by a short paragraph titled: 'Twenty Years of Progress'. 'A Standard of Life'., along with a photograph of a young child and a chart of 15 different world countries and their infant mortality rates measured between 1921-25 & 1940-43. Beneath this is an article on "Food: The Real Cost. ", with arguments For & Against the abolition of government food subsidies. Next to this is an article entitled "Fashion's Folly" - complete with large drawing of a young fashionably dressed woman. 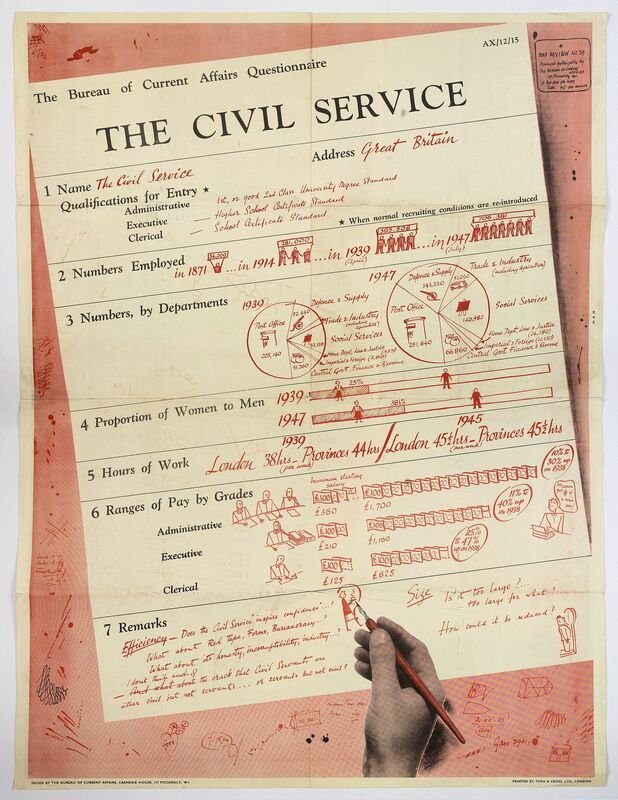 The poster on the verso is devoted to "The Civil Service" - in the form of a 7 part questionnaire, with questions like: Proportion of Men to Women, Hours of Work, Numbers Employed from 1871 - 1947. . .